A lot of well-established and popular accounts on Facebook, Twitter and Tumblr recently posted this picture, claiming to be taken from Mars, and asserting that the three vertically-aligned lights in the sky were Earth, Venus and Jupiter. If you conducted a search for ‘mars skyline’ you’ll immediately see the image. The problem with this photo is that it isn’t real. Phil Plait is an American astronomer and he loves debunking ‘bad’ astronomy. He analyzed this image and maintains that the landscape color is too saturated. Compare the landscape of the photo to real ones taken by the Curiosity rover, and the difference is immediately clear. Also the sky is the wrong color; Mars’ sky is a blue/grey. The picture contains too many clouds and they also look like they’ve been digitally designed by software. If that isn’t enough to prove the image wrong, well, let’s look deeper! If you look very carefully, at the bottom left of the picture, you can see the letters ‘NE’, which stands for ‘northeast’. This acronym is what you see when you use software programs like SkySafari or Starry Night to display the sky. It points out the cardinal directions. This means the picture is an image generated by a computer as a representation of a real scene. However, if you want to see a real picture of Earth taken from Mars, the Spirit rover took one in 2004 (and, unsurprisingly, the real thing is much less visually dramatic). A real photo depicting how Earth appears from Mars. (NASA photo). The fledgling NASA Space Launch System (SLS) is a new-generation rocket that will carry astronauts to asteroids and eventually to Mars in the 2030s. Four RS-25 engines and two solid rocket boosters will carry SLS in the vacuum of interplanetary space, where no human has yet ventured. The RS-25 engines are simply former space shuttle main engines operating at higher power levels to provide the additional thrust needed to power the SLS. “While we are using proven space shuttle hardware with these engines, SLS will have different performance requirements,” said Steve Wofford, manager of the SLS Liquid Engines Office at NASA’s Marshall Space Flight Center in Huntsville, Alabama. On June 11 at NASA’s Stennis Space Center in Mississippi, a third static RS-25 fire test was performed, the previous ones being in January and at the end of May. For 500 seconds, the engine successfully burned and therefore completed a step towards the SLS first test launch, scheduled for 2017. The next test was on June 25, also at Stennis Space Center — but this time the engine burned for 625 seconds. Three additional tests were scheduled to occur sometime in July and August before the initial series is completed. These tests are critical towards sending men to Mars and perhaps back on the moon, so let’s hope everything goes as planned. Pluto is a mysterious world. The NASA New Horizons probe was launched in 2006 and performed its Pluto flyby on July 14, 2015, becoming the first ever human-made object to visit the dwarf-planet. As New Horizons got closer, a more detailed view of the small world was made available — and it surprised everyone. The spots you see (picture on the right) originally appeared blurred together due to low resolution (picture on the left), however, as the Pluto-explorer probe got closer and took higher-resolution pictures, it was able to show four distinct spots. On June 27, when the spots were discovered, some speculated they were impact sites, where meteorites would have impacted. But they look a bit too evenly spaced. And after all, they’re all over the same hemisphere of Pluto. Some think the spots are geysers or other phenomenon arising from the idea that Pluto might be geologically active. However, the pictures are too poor in details to really identify the spots. Watch out ISS, there’s rocket debris! The International Space Station. (NASA photo). Carried into orbit by a space shuttle in 1998, the International Space Station (ISS) keeps supporting high-end scientific research. This $150-billion laboratory is the product of more than 17 years of nation-collaboration, and this is why it needs to be protected. On June 8, the ISS conducted a pre-determined debris avoidance manoeuvre, to get out of the way of a used Minotaur rocket part. The debris was tracked the morning before, allowing ISS’ teams a day to gather additional data. On Monday, tracking data showed that the path of the ISS was not sufficiently changed, so the rocket debris still presented a menace. Therefore, the ISS’ teams decided to use the thrusters of Progress M-26M, a capsule docked at the station, to clear the debris from entering the imaginary safety zone around the ISS, where no debris are ‘allowed’ to enter. Progress’ engines burned for about 5 minutes, putting the ISS in a slightly higher orbit and increasing its velocity by 0.3 metres per second. A good team effort resulted in a successful debris avoidance manoeuvre, avoiding a collision with a part of a used Minotaur rocket, launched from NASA Wallops, Virginia, in November 2013. Lately, a great number of debris and satellites are dropping from their original orbit and may present a danger to the ISS. 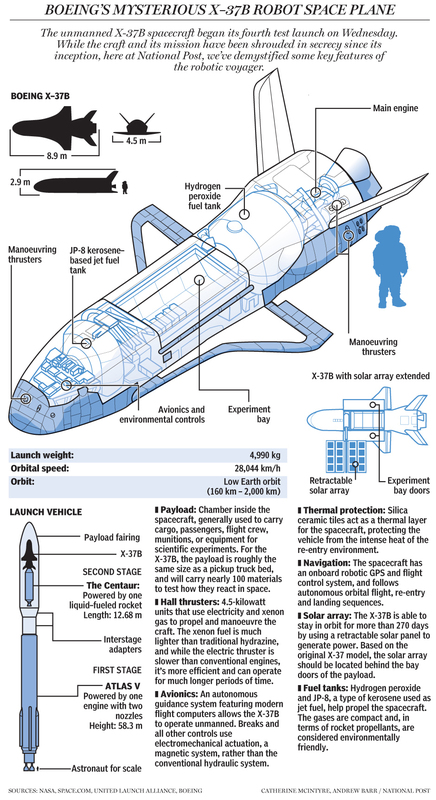 The Low-Density Supersonic Decelerator (LDSD) program is projected to cost about $290 million (CAD). LDSD is a 3.4-ton lander designed to allow NASA carrying more massive payloads on the surface of Mars. LDSD will carry heavy rovers and payload at supersonic speed in Mars’ atmosphere, decelerate it and perform a soft landing on the red planet’s surface. On June 8, NASA tested for the second time its ‘flying saucer’, as they like to call LDSD. High above Hawaii, at 180,000 feet of altitude to be more precise, LDSD fired solid-fuelled Star 48 retro-rockets, designed by Orbital ATK, to slow the lander from Mach 4 to Mach 2.35, which is a safe speed to deploy a giant 100-foot-wide supersonic parachute. The thing is, the parachute did not deploy as expected. Okay, yes it did, however, one second after deployment, the chute ripped apart in the supersonic airflow. “A preliminary look at our loads data indicate that the parachute developed full, or nearly full, drag up to the point where that damage can be observed,” said Ian Clark, the experiment’s principal investigator at NASA’s Jet Propulsion Laboratory. A camera onboard the lander “shows what looks to be a largely, if not fully, intact parachute at full inflation,” Clark added. The lander, being retrieved from the Pacific Ocean. (NASA photo). The splashdown in the Pacific Ocean damaged the 20-foot-wide lander, which has gained a speed higher than expected, due to the ripped chute. LDSD’s high-end technology is just an example of how NASA has an ambitious future on Mars. SpaceX, owned by start-up genius Elon Musk, is a private ‘space’ company helping resupply the International Space Station (ISS) with basic necessities, such as food, fuel and other equipment. On June 28, it launched its seventh unmanned Dragon cargo spacecraft from Cape Canaveral to resupply the ISS. The mission, dubbed SpaceX CRS-7, had been postponed four times before being fixed on June 28. On Tuesday, April 14, 2015, SpaceX’s Falcon 9 rocket and Dragon spacecraft lifted off from Launch Complex 40 at Cape Canaveral Air Force Station in Florida. The SpaceX CRS-7 was not so lucky, exploding during liftoff on June 28. (SpaceX photo). On both CRS-5 and CRS-6 missions, it tried to land the first stage of its Falcon 9 rocket on a drone-like barge-ship, in vain. The Falcon 9 rocket requires two stages: the first stage, also the bottom and the biggest one, is powered by nine SpaceX Merlin engines; the second stage carries the Dragon cargo spacecraft and is powered by only one Merlin engine. The stages separate in flight. Landing a rocket vertically has never been attempted before, however, SpaceX is determined to succeed at this challenge. On June 28, the autonomous spaceport drone ship (the ‘landing’ platform) was sailing steadily in the Atlantic Ocean, waiting for the first stage of the Falcon 9. The cause of this misadventure has yet to be identified, but if you look closely, you can see the explosion doesn’t release flames, but rather vaporous white clouds. Elon Musk suggested on Twitter that an overpressure in a second-stage oxygen tank could be the culprit. “We will work closely with SpaceX to understand what happened, fix the problem and return to flight,” said NASA administrator Charles Bolden in a press conference following the mishap. Despite waiting for the 5,200 pounds of food and equipment (such as a spacesuit) that the Dragon cargo spacecraft would have brought them, the astronauts onboard the station are reportedly doing fine. “The astronauts are safe aboard the station and have sufficient supplies for the next several months,” stated Charles Bolden. There was also the loss of Progress M-27M, another resupply mission which attempted to launch at the end of April and instead combusted over the Pacific. Now, with the demise of CRS-7, the astronauts count on the support of Progress M-28M. This mission is designed to deliver more than three tons of food, fuel and science-related equipment to the ISS. Its launch on July 3 was, fortunately, a success. SpaceX failed to rewrite history on its third attempt. However, both successes and failures shape space history. Hang on SpaceX, it will happen. The next rocket-landing attempt may take place in August or September. The 2015 Canadian Federal Budget, presented at the House of Commons on April 21, extended Canada’s support for the International Space Station (ISS) until 2024. Canada was the third country to extend its participation until 2024, after the United States and Russia. One astronaut is guaranteed to fly to space by 2019, the other by 2024. During a CTV interview, the astronauts were asked who would fly first. As any polite Canadian would do, they looked at each other and begged the other one to go first. Of course, the astronauts have no influence on who will go up first; the selection is based on specific mission requirements and tasks. Way to go, Hansen and St-Jacques! Make us proud again, as Chris Hadfield and all past Canadian astronauts have! More than 10 years after its launch in March 2004, Philae lander made the headlines in November 2014 after performing a landing on a comet nucleus. Philae was sent by its mothership, Rosetta, on comet 67P/Churyumov-Gerasimenko. While Rosetta was orbiting the comet, Philae landed on it, reaching a milestone by being the first spacecraft to ever land on such a celestial object. However, the landing wasn’t as soft as planned; the lander bounced multiple times before steadying into an heavily-shadowed area — an area where the solar panels of Philae can’t catch light. As a result, the lander lost power, and ‘went to sleep’ about 60 hours after touchdown. On June 14, after seven months of hibernation, the European Space Agency (ESA)’s officials received a signal from the Philae lander. They received more than 300 data packets in an 85-seconds burst. The data consisted mostly of information the lander had recorded in the past and saved onboard, meaning Philae was awake at least once during its long hibernation. ESA officials received another signal on June 19. This time, the contact was not unexpected. Good morning, Philae! Now, get back to work. An artist's portrayal of the Philae lander. Astronauts Terry Virts, Samantha Cristoforetti and Anton Shkaplerov safely touched down in the steppe of Kazakhstan on June 11. After a successful 200-day mission on the International Space Station, and more than 200 scientific studies performed, the trio finally closed the hatch of their Soyuz TMA-15M spacecraft — also known as their ride back home. It was both Virts’ and Shkaplerov’s second trip to space, but Virts’ first long-duration spaceflight. First, while she was in space, there were issues with the Russian Soyuz rocket and capsules which delayed her return to Earth (the trio was originally scheduled to come back in May). Because of that, she spent 200 consecutive days in space — a marathon which broke a number of records. She now holds the longest uninterrupted spaceflight for a European Space Agency astronaut, and she also holds the longest single spaceflight by a woman. Sunita Williams is now second, with 195 days. Samantha also did a lot of public outreach during her stay on the station; she was part of a Smarter Every Day video, she gave a great tour of the ISS’ toilet, and, taking advantage of her Italian nationality, she inaugurated the first espresso maker in space. The trio had a textbook mission, and they shared their stay with others through gorgeous pictures of Earth from space, which they posted on their Twitter accounts. I urge you to take a look — It’s pure art. Canada is known in the ‘science-o-sphere’ for its extraordinary skills in robotics. Onboard the International Space Station (ISS), multiple robots and technological tools, such as Canadarm2 and Dextre, were manufactured by Canadian companies alongside the Canadian Space Agency (CSA). On June 19, the Honourable Bal Gosal, Minister of Sport and Member of Parliament for Bramalea-Gore-Malton, officially recognized MacDonald, Dettwiler and Associates Ltd. (MDA)’s support for Canada’s robotic system on the ISS. The whole contract is worth more than $11 million. MDA, based in Brampton, will design and restore specialized camera technology for Canadarm2, Dextre and the Mobile Base System, all aboard the ISS. Astronauts on the station rely on the cameras to support spacewalks, help capture and dock spacecraft, inspect and repair some modules, etc. This investment is further proof of Canada’s contribution to the space program. It helps ensure Canada’s bright future in space exploration. Ceres is a dwarf-planet orbiting between Mars and Jupiter, in the asteroid belt. Since March 2015, the NASA Dawn spacecraft entered Ceres’ gravitational field, becoming the first spacecraft ever to visit two extraterrestrial objects, after visiting asteroid Vesta in July 2011. In April 2015, Dawn saw two mysterious bright spots on the surface of Ceres. The spots still baffle scientists, who are struggling to define what they are. A photo of the bright spots found on the surface of Ceres. Scientists are still trying to determine what they could be. (NASA photo). On June 5, 2015, Dawn took a picture of Ceres from an altitude of 4,400 km, and the photo portrayed a shocking discovery: a pyramid-shaped mountain sitting, like a pimple, in the middle of a relatively flat part of the dwarf-planet. The real question is, how did it get there? Of course, some theorists believe aliens built this huge 5km tall mountain in the middle of Ceres, and used campfires to stay warm during construction (even if there is no air). This would explain the bright spots, too. Equally mysterious is how the mountain, top right, formed on the relatively flat surface of Ceres. (NASA photo). But in all seriousness; on Earth, mountains form due to the movement and collision of plate tectonics. However, Ceres doesn’t have plate tectonics. Giant-impact areas that have mountain ranges around their rim can make mountains on airless bodies, but this pyramid is alone. And again, there’s no obvious crater around it. Ceres, with its spots and now its pyramid-shaped mountain, is odd. Planetary scientists and the NASA Dawn team are working on this case, hoping to get a convincing answer soon. The volcano-theory is not rejected as for both mysteries. April 24, 1990 saw Space Shuttle Discovery launch from Kennedy Space Center with the school-bus-sized Hubble Space Telescope in its payload. More than five years after the last of five shuttle servicing missions, the NASA community (and the whole scientific community around the world) celebrated Hubble’s 25th anniversary on April 24, 2015. One hundred and fifty-six thousand gigabytes of scientific data transmitted to Earth later, Hubble’s officials are starting to think about its future, and it’s not a straightforward question. Hubble’s lifespan “is the biggest question we keep getting from people, because everybody is used to something on Hubble breaking every five years,” explained Jason Kalirai, a researcher at the Space Telescope Science Institute in Baltimore. Even though it’s getting old, Kalirai said NASA’s Goddard Space Flight Center engineers are doing a wonderful job managing the telescope’s systems. For now, they estimate that Hubble will keep orbiting in Low Earth Orbit, exploring the mysteries of the universe until, at least, its 30th anniversary. When Hubble eventually does break down, does NASA actually have a plan to replace it? Of course! The James Webb Space Telescope (JWST) was first scheduled to launch in 2011, but its launch was put off until October 2018. Unfortunately, the project isn’t just delayed, it’s also vastly over budget. The JWST is a much bigger and more powerful space telescope than Hubble; it’s as big as a tennis court with a 6.5-meter-diameter primary mirror, compared to the 2.4 meter diameter mirror on the Hubble. Overall, the increased the JWST’s collecting area up to seven times more than Hubble. NASA: Outside the enormous mouth of NASA's giant thermal vacuum chamber, called Chamber A, at Johnson Space Center in Houston, engineers and technicians prepare the chamber for testing the James Webb Space Telescope. Canada is part of the three major contributors to get the JWST into orbit: NASA and the European Space Agency make up the other two. “What if I told you we were going to build a new space telescope? What if I told you Canada was helping to build that telescope?” asked Canadian astronaut Jeremy Hansen. The Canadian Space Agency is providing JWST a Fine Guidance Sensor (FGS) as well as the Near-InfraRed Imager and Slitless Spectrograph (NIRISS), one of the Webb’s four science instruments. Both were designed, built and tested by the Canadian Space Agency. What is an NIRISS? The light we can see is composed of what is called visible light. There are, however, many other kinds of light, such as infrared light. For instance, infrared light can offer astronomers different sources of information. Many celestial objects, like brown dwarfs and enormous red giant stars, emit mostly infrared light. NIRISS will also have unique capabilities to find the earliest and most distant object of the Universe, such as the first galaxies ever formed. The integration of FGS and NIRISS required CSA to add $2.6 million to its contract with COM DEV International Ltd., where the FGS and NIRISS are built and tested. The Canadian contribution guarantees Canadian astronomers a slice of the action where the observations of space and time by the Webb telescope are concerned. “It’s going to open up a whole new world of scientific discoveries and new ways of looking at the future … It’s going to be a fantastic time of discovery for all Canadians,” said Industry Minister James Moore. On April 21, 2015, Minister of Finance Joe Olivier presented the 2015 Canadian federal budget to the Canadian House of Commons. The budget assumed Canada’s implication in the International Space Station (ISS) until 2024. After previous commitments by NASA and the Russian Space Agency (Roscosmos), both the primary contractors of the station, Canada’s decision to extend its participation in the ISS until 2024 was confirmed. As a consequence of this, Canada is responsible for 2.3% of the operating costs of the United States-led segment. That means Canada has the rights to use 2.3% of these module’s resources. For comparison, Japan holds 12.8% of the segments’ rights; European Space Agency (ESA) 8.3%; and NASA pays the remaining 76.6%. The Russians finance their own segments. Japan and ESA officials said they are thinking of reducing their station’s holding rights. Also, neither has yet confirmed their commitment to the ISS beyond 2020. Does that mean Canada will take greater responsibilities within the space station? SpaceX is a private company that helps to resupply the International Space Station (ISS) with basic necessities and science-related equipment. On April 14, 2015, they launched their 6th unmanned Dragon cargo spacecraft to resupply the ISS, something that needs to be done each 90 days or so. This mission, named SpaceX CRS-6, was postponed multiple times. To be honest, I can’t remember one time when a SpaceX launch wasn’t delayed. SpaceX likes to try risky and out-of-the-ordinary things. For a second time, they tried to land the first stage of their Falcon 9 rocket on a drone barge, a feat that nobody has ever accomplished. The first attempt was almost successful, but the first stage ran out of hydraulic fluid causing it to explode. The Falcon 9 rocket has two stages: the first one, also the biggest one, is on the bottom and powered by nine SpaceX Merlin engines. The second stage carries the Dragon spacecraft and is powered by one Merlin engine. The launch was a success, and then the first stage separated from the second stage about three minutes after launch, as expected, and began falling back toward the landing platform. After the considerable challenge that is landing a rocket, SpaceX wants the first stage to stand up on the barge. Take a look at what happened after the second attempt. Close, huh? The 14-story booster steadied for a brief moment on the “autonomous spaceport drone ship,” as SpaceX likes to call it, before toppling over and causing an impressive explosion caused by an issue with an engine throttle valve. Everything else went perfectly. Astronaut Samantha Cristoforetti, onboard the ISS, grappled the Dragon spacecraft with Canadarm2 on April 17. The payload, carrying more than 4,300 pounds of supplies and other material to support multiple scientific experiments, was delivered successfully to the ISS. SpaceX’s next attempt to land the first stage of another Falcon 9 rocket will be in June. Since March 2011 NASA’s MESSENGER spacecraft has been cruising in Mercury’s orbit. It became the second mission to reach Mercury, the first planet starting from the Sun, after Mariner 10’s 1975 flyby. MESSENGER, acronym for MErcury Surface, Space ENvironment, GEochemistry, and Ranging, helped a lot in characterizing the chemical composition of Mercury’s surface, studying the nature of Mercury’s magnetic field, determining the size and state of the core, and solved many other unprecedented scientific mysteries about the smallest of the four rocky planets. In four years of orbit, it has sent over a quarter of a million images of Mercury back to Earth. Launched on August 3, 2004, MESSENGER conducted its final orbital manoeuvre on April 6, 2015. It ran out of fuel quickly as the Sun was close by and constantly changing MESSENGER’s orbit. This lack of propellant lead to the death of the spacecraft: MESSENGER was expected to crash into the planet’s surface in late April or early May. “The sun is pulling on it. The planet is pulling on it. It’s just physics. It has to crash,” said Thomas Zurbuchen of Michigan’s University. This was inevitable, and the scientists who were part of the MESSENGER group understood it even at the dawn of the mission’s planning. They even took advantage of it! During its hard-to-control orbit, the Mercury-exploring spacecraft went as low as 5km from the surface of the planet, sending back incredibly high-resolution pictures. MESSENGER successfully completed its mission: to unmask the secrets of Mercury. “We’re at the end of a really successful mission, and we can’t do anything anymore to stop it from doing what it naturally wants to do,” continued Thomas Zurbuchen. On April 30, 2015, NASA’s MESSENGER spacecraft crashed into Mercury’s surface at 3.91 km/second, after traveling 7.8 billion kilometres over 11 years. The Voyager 1 spacecraft was launched from Cape Canaveral on September 5, 1977 to study the outer solar system. Now traveling at a velocity of 61,000 km/h, it is the farthest space probe from Earth. A gold-plated audiovisual disc is attached to it carrying photos of the Earth and its life forms, scientific information, spoken greetings from different cultures around the Earth and a medley “Sounds of Earth” that includes sounds of whales, babies crying and a collection of music ranging from Mozart to Chuck Berry. In 2012, Voyager 1 entered interstellar space, which is what we call the space between the stars, but what is that disk doing there? It would serve as an informational snapshot of life on Earth in the event that the spacecraft is found by intelligent life forms from other planetary systems. On February 14, 1990, American astronomer Carl Sagan convinced NASA to use Voyager 1’s camera to take a picture of the Earth across a great expanse of space, more precisely from a distance of 6 billion kilometres. See that pale blue dot? This is our home, the Earth, condensed into less than one pixel. This revolutionary image that changed our way of seeing Earth and humanity just turned 25 years old this past February. Between February 21 and March 1 of this year, NASA astronauts Barry “Butch” Wilmore and Terry Virts, as well as European Space Agency astronaut Samantha Cristoforetti were all onboard the International Space Station (ISS). Throughout their time on the ISS, Wilmore and Virts performed spacewalks under the orders of Cristoforreti, a spacewalk choreographer and robotic arm operator who remained onboard the ISS. A spacewalk consists of putting on a spacesuit and literally walking out into space alone. It is very useful for performing repairs outside the ISS. The first spacewalk, or extravehicular activity, occurred on February 21 and consisted of rigging a series of power and data cables and routing 340 feet of cable outside the ISS. The spacewalk was supposed to take 6 hours and 30 minutes in total, but Wilmore and Virts took 11 minutes more. The second spacewalk on February 25 consisted of a similar mission. Wilmore and Virts had to lay more cables and lubricate one of Canadarm2’s two Latching End Effectors, which serve as the base of the arm. All the rigging, routing and laying of cables were precisely for one goal: readying the ISS for a pair of International Docking Adapters, which are designed to let future capsules dock with the ISS. It was also a 6 hour and 30-minute planned spacewalk and this time the spacewalkers took 13 more minutes. Virts had water floating in his helmet, but it was only a small amount so he was fine. The third spacewalk on March 1 was to install C2V2 equipment. Commercial spacecraft delivering crews to the space station will use it to dock with the station’s orbital laboratory. NASA launched Dawn in 2007 from Cape Canaveral. It was the first spacecraft to visit Vesta, one of the largest known asteroids in the solar system, entering its orbit in July 2011. Upon entering Ceres’ orbit on March 6, 2015, it became the first spacecraft to visit Ceres and to orbit two separate alien bodies. Ceres and Pluto are both dwarf planets, but as Dawn entered Ceres’ orbit, and as New Horizons is starting to study Pluto, scientists will acquire new knowledge from these two missions and 2015 will be the year in which NASA makes its final decision: are Pluto and Ceres planets or only dwarf planets? Unlike the larger planets, Ceres, like Pluto, “has not cleared the neighbourhood around its orbit,” according to the International Astronomical Union definition. This was one of the reasons Pluto got demoted from “planet” to “dwarf planet” in 2006. In 2004, Hubble Space Telescope (HST) took a picture of Ceres and found a bright spot on its surface. It amazed everybody. That picture has been puzzling scientists ever since. As Dawn spacecraft approached Ceres, it took a high-resolution picture that surprised scientists. Two bright spots sit one next to the other on the surface of the dwarf planet. The bright spot that HST saw on Ceres has a neighbour! ... and it is very mysterious. “This may be pointing to a volcano-like origin of the spots, but we will have to wait for better resolution before we can make such geologic interpretations,” explained Chris Russell, principal investigator for the Dawn mission. As NASA scientists receive higher-quality images of Ceres, they hope to understand more about its origin and evolution, and also find out what these two bright spots are. “The brightest spot continues to be too small to resolve with our camera, but despite its size, it is brighter than anything else on Ceres. This is truly unexpected and still a mystery to us,” said Dr. Andreas Nathues of the Max Planck Institute for Solar System Research. On February 7, NASA’s Mars Reconnaissance Orbiter completed its forty thousandth orbit of the planet, orbiting it since 2006. Have you heard about the Mars One organisation, which plans on establishing a permanent human settlement on Mars? The plan is that every two years, starting in 2024, they’ll send a crew of four to colonise the planet, and crews will come back… Wait. Crews will never come back: they agreed to die on that unknown planet. Well, we shouldn’t get too excited about it. Yes, the Mars One organisation is very confident that their plan will work, but MIT scientists are less optimistic. According to their study, a lot more machinery will be needed than the Mars One organization thought, racking up an initial bill of $4.5 billion USD. Crews on Mars will be totally dependent on what they are provided in the beginning and what they can squeeze out of Mars, like water from the soil. The problem lies in the fact that current technologies aren’t ready to squeeze anything out of Mars just yet. MIT scientists predict the first fatality will occur on day 68 due to the absence of an adequate air system, which is way before the Mars One organization expected. If somehow crewmembers do not die from hypoxia for whatever reason, they may starve to death. An area of 200m3 will be needed for crops to keep astronauts healthy, which is four times larger than what the organization has proposed. Let’s not say the Mars One mission is impossible, but perhaps that more concrete plans are needed to start taking this seriously. If you want, you can meet the hundred candidates left in the race to be part of Mars One’s crew on their website. They were chosen among a quarter million people and only 24 will make the final cut. Interesting, isn’t it? “At about 250 kilometers, the division between the atmosphere and outer space is very thin, so the reported plumes are extremely unexpected,” said Agustin Sánchez-Lavega from País Vasco University. Some ideas have been considered to explain this mystery, such as: a reflective cloud of water/ice; the plumes may be related to an auroral emission; volcanic eruptions, etc. Of course, many think it is due to martians but astronomers don’t yet know the answer to that puzzling question: What is causing hundreds-of-kilometer-high plumes on Mars? You may have seen Comet Lovejoy recently but do you actually know what a comet is? A comet is a small solar system body made primarily of rock and covered in ice which passes very close to the sun at rapid speeds then at the very outmost part of the solar system due to its unconventional orbit. While getting closer to the Sun, it heats up and begins to release a bunch of gases trapped in its ice sometimes displaying a tail. More precisely, the heat evaporates the comet’s gases, causing it to emit microparticles (ions and electrons) and as the pressure of the sun’s radiation affects them they form a tail. After passing by the Sun, their highly elliptical orbit makes them travel far out into the solar system making them freeze again. Some comets take several years to complete an orbit but others can take up to several millions of years. How did they form? The entire solar system was created about 4.6 billion years ago by the collapse of a giant cloud of dust. A lot of matter merged into planets, but some remained in the outer level of the solar system where temperatures are cold enough to freeze water. With this far-away matter collapsing the comet came to be! In mid-February, the European Space Agency (ESA) launched their Intermediate Experimental Vehicle (IXV) for a 100-minute mission and it was a success. The IXV resembles a mini, 5-metre interpretation of the American Space Shuttle. It was testing new designs, new technologies and materials for possible future orbital flights. Note that it was the first time the ESA succeeded in a controlled re-entry. Congratulations ESA for a successful mission! NASA’s Magnetospheric Multiscale (MMS) is scheduled to launch on March 12 and its primary mission is to study the mystery of magnetic fields around the Earth. Perhaps the most entertaining launch of the month is planned on March 27 and it’s the launch of the crew of the ISS One Year mission. From Kazakhstan, Scott Kelly and Mikhail Kornienko will take off onboard a Soyuz Rocket on its way to the International Space Station and they’ll spend a whole year in space. Every major launch is streamed live on the Internet and you can watch here. In my last article, I neglected to mention that SpaceX delayed its CRS-5 mission for a third time and finally launched on January 10. SpaceX is a private company that helps to resupply the ISS (International Space Station) with basic necessities and science-related equipment. It is also known for delaying its missions to ensure successful launches, and as the title above may indicate, even postponing a rocket launch may result in nothing more than a “kind of” success. CRS-5 was the fifth launch of the Dragon cargo spacecraft aboard a Falcon 9 rocket to resupply the ISS. SpaceX wanted to try something new on the CRS-5 mission: Land the 1st stage of the Falcon 9 rocket on a barge-like drone ship. The Dragon cargo spacecraft is on top of the rocket, with the cargo attached to the two other stages. The first stage is the bottom, powered by nine SpaceX Merlin engines. Unlike most people, I am not calling this a failure, but rather “a near-success.” It’s very impressive that the booster could find — and actually hit — the barge. And yes, the barge was fine after the collision, needing only minor repairs. There is no doubt in my mind that this event was taken seriously inside SpaceX, but Elon Musk, CEO of SpaceX did find some humour in the mishap. “Full RUD (rapid unscheduled disassembly) event. Ship is fine minor repairs. Exciting day!,” he tweeted immediately after the mishap. Barring the big explosion, everything went great. The Dragon spacecraft carrying science-related equipment docked at the ISS on January 12th. Two-and-a-half million light-years from Earth, the Andromeda Galaxy is slowly moving towards us, preparing to merge with our galaxy, the Milky Way, billions of years from now. The Andromeda Galaxy is our closest galactic neighbour, and the Hubble Space Telescope, a NASA telescope in orbit around the Earth, enjoys taking pictures of it. The picture was revealed at the 225th meeting of the American Astronomical Society, held from January 4-8, 2015, in Seattle. We can’t say exactly when Hubble took this picture, because its images are mostly kept in secret for up a year after they’re taken. One thing I am sure of, however, is that it was made into a mosaic: the image had many exposures and got assembled in this way due to 411 pointings of the telescope. Scientists can use this image to help them understand other spiral-like alien galaxies that might have light distinctions similar to those of the Andromeda Galaxy, but are farther away. On March 27, 2015, astronaut Scott Kelly (NASA) and cosmonauts Mikhail Kornienko and Gennady Padalka (Russian Federal Space Agency) will get onboard a Russian Soyuz TMA-16M spacecraft due to launch from the Baikonur Cosmodrome, Kazakhstan, to the International Space Station (ISS). With Roscosmos’ astronaut Gennady Padalka returning to Earth, Kelly and Kornienko will stay on the ISS until March 2016, completing a one-year space mission. There is however, a third astronaut participating in the ISS One-Year Expedition, even if he’s not on the International Space Station. It’s Mark Kelly, former Naval aviator, just like his twin brother: Scott Kelly. Mark is a retired astronaut, engineer and U.S. Navy Captain. NASA wanted him to participate in science experiments with his twin brother, Scott, who will spend one year on the ISS, while Mark will spend that same year in Houston, Texas, performing experiments that will answer a very interesting question: Identical twins, one on Earth and one in space. After a year, are they still… identical? “Having Mark as the control subject is really very fortunate. Not only because we’re twins, but he’s also a former astronaut and NASA has data on him going back to 1995,” Scott Kelly said. The human body was made to live in gravity. Strange things happen to the body in space: bones get fragile, the heart weakens, eyes lose their shape, etc. The brothers will undergo 10 medical and psychological tests each day, measuring bone density, taking sonograms of their eyes, counting the bacteria in their gut, etc. Tests like these will help NASA understand the function of the human body in space and will prove invaluable in preparing and protecting astronauts during lengthy trips in space. “I’ll probably feel a little bit older than I am right now [when Scott returns to Earth]. But no, I don’t think I’ll feel older than [Mark]. I think according to Einstein’s theories I’ll be a little bit younger,” said Scott while laughing. Scott was right. According to Einstein’s General Relativity theory, the faster you’re going, the slower time passes. So, with the ISS going at 27,600 km/h, in one year, Scott will gain microseconds. Scott will therefore be a tiny-bit younger than Mark when he comes back to Earth, in March 2016. Scott Kelly and Mikhail Kornienko will perform many other experiments on the ISS, but most of the experiments will be on the human body and how it adapts during long-term spaceflight. This mission is a key step towards assuring that the health of astronauts is not compromised, as NASA prepares its next giant leap for humanity (on Mars!). Maybe you’ve heard about this, but a team of astronomers announced recently that they have indirect evidence that there could be two massive planets beyond Neptune. I’ve read their journal where they give all their arguments, and it is undoubtedly very interesting. But do not forget, they did not see two planets beyond Neptune, but rather they analysed the weird orbits of trans-Neptunian objects (TNOs) and arrived at that conclusion. Note that the NASA infrared survey explorer (WISE) has shown that no planets bigger than Saturn can exist in our solar system, even way out there. Beyond Neptune, there are a lot of objects similar to asteroids, but they look like comets too. These are called trans-Neptunian objects (TNOs). The team of astronomers studied in particular what they call “Extreme TNOs,” which are described as TNOs that have really weird orbits and are pushed to the most outer regions of our solar system. They speculate that there may be an explanation for the TNO’s weird orbits: planets at distances of about 40 to 100 billion km out (10 times farther away from the Sun than Neptune is from us). If you want more detailed explanation of their arguments you can read their journal article (http://arxiv.org/pdf/1410.6307v3.pdf). But again, their evidence is indirect and I am very sceptical about having new planets in our solar system. On the other hand, it is possible and astronomers see planets orbiting other stars at great distances — so why not? Using data from NASA Kepler’s mission, a group of astronomers have discovered a solar system in the Milky Way galaxy that they named Kepler-444. Kepler-444 is a very, very old solar system created when our galaxy was only two billion years old. That makes Kepler-444 11.2 billion years old (the Universe itself is 13.8 billion years old). At two and a half times older than the Earth, Kepler-444 becomes the oldest known system of terrestrial-size planets. This system is home to five small planets, the biggest one the size of Venus, the smallest close to the size of Mercury. All five planets revolve around their sun in about 10 days, and their orbits are very close to their sun-like star (in comparison, Mercury revolves around our Sun in 88 days and is the closest planet to it) making them very hot, despite the fact that their sun is relatively small (about 25% smaller than ours). But how do astronomers know the age of a solar system 117 light-years away from us? This was calculated using a method called astroseismology. The surface of the star vibrates constantly, and the type of vibrations depend on the physical properties of the star — mass, gravity, density, size and age. Over many weeks, careful observation delivered the astroseismological results to the astronomers, and that result was: 11.2 billion years old. “Today we remember and give thanks for the lives and contributions of those who gave all trying to push the boundaries of human achievement.” – Charles F. Bolden. Jr., NASA administrator. NASA Day of Remembrance, on January 28, remembered the loss of the Apollo 1 crew, STS-51L Challenger crew, STS-107 Columbia crew, and many others who lost their lives in test flights and aeronautic research throughout history. On January 27, 1967, veteran astronaut Gus Grissom, first American spacewalker Ed White, and rookie astronaut Roger Chaffee were killed in their capsule on the launch pad for a pre-launch test. NASA thought putting pure oxygen in the capsule was easier than putting a mixture of air just like we breathe outside. A fire broke out in their Apollo capsule. January 28, 1986: 73 seconds after launch, Space Shuttle Challenger with STS-51L crew breaks apart, leading to the death of all seven crewmembers. The day before launch the temperature was below freezing, which caused an O-ring to break in a Solid Rocket Booster (SRB). That same SRB exploded in the air causing the explosion of the whole Space Shuttle Challenger. On February 1, 2003, 16 minutes before the planned landing, Space Shuttle Columbia breaks up in the American sky, carrying STS-107 crew. At launch, a piece of foam, falling from the external tank, opened a hole in the shuttle’s wing, breaking the heat shield, causing the break-up of Columbia upon re-entry, and the death of all seven astronauts onboard. SMAP (Soil Moisture Active Passive) is a satellite designed to measure and map Earth’s soil moisture and freeze/thaw state. It will help NASA to better understand water, carbon and energy cycles. SMAP launched January 31 atop a Delta II rocket from Vandenberg Air Force Base, California. Agriculture and Agri-Food Canada as well as five Canadians universities were participants in the mission, knowing this satellite will have great benefits for Canadian farmers. Excluding SMAP, 19 launches are scheduled for February and March 2015: Passing by DSCOVR (NOAA’s Deep Space Climate Observatory), a satellite that will observe and monitor real-time solar wind. It will launch onboard a SpaceX Falcon 9 rocket from Cape Canaveral, Florida. On March 12, MMS (Magnetospheric Multiscale), a satellite that will study the mystery of how magnetic fields around Earth connect and disconnect, as well as all the energy phenomena related to this, will launch onboard an Atlas V rocket, from Florida. On Match 27, the launch of the ISS One Year Crew will (hopefully) go on-schedule. Remember that every (or almost every) launch is streamed live on the Internet or on NASA’s website. Always impressive! Space X CRS-4 Dragon orbiting above Earth. The recent launch of CRS-5 was delayed, prolonging the delivery of supplies headed for the ISS. Friday, December 5 marked a milestone in the world of cosmos exploration. NASA’s greatest hope, Lockheed Martin’s Orion Capsule, launched from Cape Canaveral, at dawn, on top of a 243 ft. rocket. NASA’s Exploration Flight Test 1 (EFT-1) was the first mission with the Orion capsule, designed for deep space expeditions. Even though it was a short flight to test some of the controls onboard the spacecraft, it was a success, and subsequently initiated a new era of space exploration. Scheduled to launch the previous day on December 4, EFT-1 was postponed due to an issue with the fill and drain valves onboard the rocket that appeared during the launch attempt that day. “Recommend we scrub today’s operations […]. So please set up for a 24-hour recycle.” explained the launch director. Despite that minor complication, the promising mission virtually had a textbook space flight. Orion did fly 15 times higher than the International Space Station, its controls did correctly answer all the criteria, the capsule did splashdown in the Pacific Ocean about 4 hours after launch and did indeed get picked up by the USS Anchorage, one of the U.S. Navy’s ships. The next flight of Orion is scheduled no earlier than September 30, 2018. It will be an unmanned mission, just like EFT-1, but this time around it will consist of sending Orion in a circumlunar trajectory, around the far side of the moon and back to Earth, extending the duration of the mission to 7-10 days. About a month ago, astronauts Terry Virts, Anton Shkaplerov, and Samantha Cristoforetti climbed onboard a Soyuz rocket on its way to the International Space Station (ISS) for a 6-month voyage. Expedition 42/43, as their mission is called, is the 42nd expedition and the one that is currently on the ISS. Virts, Shkaplerov and Samantha Cristoforetti docked with the station’s Rassvet module on November 23, 2014, joining the crew of expedition 41/42, who had been onboard the ISS since September 26, 2014. On the station, the crew operates multiple science experiments while staying tuned into social media via Twitter and posting amazing pictures of the Earth seen from a vantage point 415 km beyond its surface. In light of the fact that NASA is still trying to get a future permanent rocket to send men into space again since the last shuttle mission in 2011, they have resorted to using the Russian Soyuz rocket to send their space expeditors to the ISS. With the Soyuz rocket, you can’t send more than three astronauts at a time. So the way it works, is that you send three of them to the ISS, joining three other cosmonauts already on board, then you take back the three that were previously there to send three others a few moments later. So you constantly have six bodies up there. This is why the mission’s name always carries two numbers (for example expedition 42/43), because the astronauts and cosmonauts of the 43rd expedition will join the members of the 42nd expedition in March 2015. One interesting aspect of the SpaceX CRS-5 mission is a tiny experiment housed in the space of a 4-inch cube. Inside the tiny box may be the key to Alzheimer’s disease. Called SABOL (Self-Assembly in Biology and the Origin of Life), the experiment will be 100% automated and of course, will operate on the ISS. “We don't understand the true mechanism of the disease. If we’re lucky, then we’ll find out whether proteins will aggregate in space. Only in weightlessness can you produce an environment free of convection so you can see whether they form on their own. We expect to learn incrementally from this,” said Dan Woodard, a consultant of the ISS research team based at NASA’s Kennedy Space Center. New Horizons is awake! Pluto awaits! New Horizons is a NASA space probe launched in January 2006 with the primary objective to study the dwarf planet Pluto. This spacecraft is estimated to begin its Pluto main science mission and observations in February 2015. On December 6, 2014, New Horizons spacecraft transitioned from hibernation, when most of the spacecraft is unpowered, to active mode. To wake the space explorer up, NASA send signals to perform critical systems checks, calibrate instruments, and perform corrections, if needed. After nine years and three billion miles of flight, the radio signal, moving at speed of light, needed about four hours to make its way from the probe to Earth. December 6 turned out to be the last “waking up” of the space probe, as NASA is now waiting for Kuiper belt’s object observation in January 2015. “Symbolically, this [the waking up of New Horizons on Dec. 6th] is a big deal. It means the start of our pre-encounter [of Pluto] operations,” said Glen Fountain, New Horizons project manager. A cool thing about New Horizons is that in May 2015, it will be so close to the Kuiper belt that it will take incredibly high-resolution pictures of it. The quality of these images will exceed the ones taken by Hubble Space Telescope, one of NASA’s most prestigious space telescopes. A photo depicting known objects in the Kuiper belt, a region of the Solar System beyond the planets. Due to a packed schedule, the odds of having a rocket launch at any moment in January and February are greatly in your favour. The December 2014 launch schedule began on the 2nd with an Indian missile. It continued with another Japanese launch on the 3rd, which pre-empted Orion EFT-1. From Orion’s flight to New Year’s, there were 15 launches scheduled, forming a total of 18. In January 2015, there were/are four major launches on the calendar; two from United Launch Alliance and the other ones from SpaceX. You can find every major launch streamed live on the Internet or on NASA’s TV website. It’s always very impressive to see a controlled explosion boosting up a man-made rocket into space — you should check it out! I always thought flying is a good training method for an astronaut — and it still is. Jeremy R. Hansen, a CSA (Canadian Space Agency) astronaut, was back with the RCAF to sharpen his skills on a CF-18 this November. “How do you prepare an astronaut for the unknown in space? The answer is you challenge them, you try to put them in as many unique and challenging circumstances as you can find, and aviation provides a lot of challenge,” explains the former CF-18 pilot, a native of London, Ontario. Saint-Jacques does not train with the old CF-18 — he was never a member of the Royal Canadian Air Force — so he trains with the other astronauts on the T-38 Talon at Johnson Space Center in Houston, Texas. Lockheed Martin’s Orion capsule was attached to the Delta IV Heavy Rocket this November, and is currently getting ready for its flight test on December 4. Orion will launch from Cape Canaveral Air Force Station in Florida, and will test the controls of the capsule, preparing it for deep space exploration, where it will eventually set foot on Mars. The Orion’s capsule will fly 15 times higher than the International Space Station, and will splashdown in the Pacific Ocean about four hours after launch. “This spacecraft is going to push the boundaries of scientific discovery and human achievement,” said Michael Hawes, Lockheed Martin’s Orion program manager. Lockheed Martin looks forward to expanding in both sectors: defense and security, and space exploration, and the Canadian aeoronautic and aerospace industry is contributing by being a partner of the F-35 Lightning II program. “It’s [the F-35] the best of all the available choices. It provides the best value for money, the best platform to address the security needs of Canada through to 2050, which is probably how long we’ll have this airplane,” said LGen (Ret’d) Angus Watt. Canada’s Aviation and Space Museum in Ottawa, Ontario, is primarily an aviation museum. Since the creation of the museum in 1909, Canada’s aviation industry has expanded to include aerospace technology and, as you might have guessed, the museum’s collection has done the same and evolved to include space flight artefacts. In November, one of Canada’s most famous robotic and technological achievements — the Canadarm — celebrated its 33rd anniversary. The Canadarm was sent into space between 1981 and 2011, during NASA’s Space Shuttle Program, and was retired along with the shuttle in 2011, after nearly 30 years of successful operations. The CSA working alongside NASA, negotiated the return of Endeavour’s (one of NASA’s orbiters) Canadarm. Endeavour’s robotic arm was then sent to the Canadian Aviation and Space Museum, and was displayed in an interactive exhibit allowing visitors to navigate through the history of this technological achievement. “This exhibit commemorates an important part of our history in space. The Canadarm is a symbol of our country’s ingenuity and expertise in space robotics. It has positioned Canada as a leader in space,” said James Moore, Minister of Canadian Heritage and Official Languages. It is very impressive to see a big robotic arm that travelled 624 million kilometres while orbiting the Earth — you should get out there and check it out!